I'm sorry but how is it July already? I have no idea where the first 6 months have been so this post will be interesting. Hopefully my memory doesn't fail me. I haven't been as consistent with my blog, but I'm actually quite satisfied with the content that I've produced. This year I wanted to focus on generating content that I was happy about, and that would create ideas and debate, rather than write about anything and everything to make up for lack of posts. Find out which books I loved, found disappointing, my biggest surprise so far and favourite book covers I've bought for the first half of 2017. I've only read 8 books so far this year. 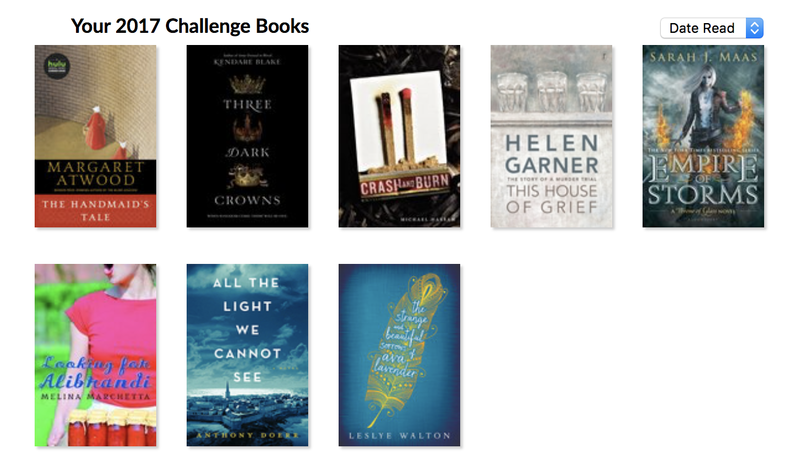 Yes, it doesn't seem like much, but my goal this year was to read books that I know I'd like and will be memorable. With at least 7 of them I can happily say I'm glad I read them and that I did enjoy them. Quality over quantity right? I never really got to set resolutions for this year, purely because I know that I'm all for talking about them but never put plans in place to action them, which is a big no no. Instead, I've set long term goals that have short term goals that I want to work on within an amount of time to get there. Early days so I have to wait to see how I go with those. How Has 2017 Been For You So Far?